Dr. Monica Swahn is a Distinguished University Professor in the division of Epidemiology and Biostatistics and a core faculty in the Partnership for Urban Health Research. Her main research areas pertain to health risk behaviors among adolescents and young adults, primarily focusing on the structural drivers of alcohol, violence and HIV/AIDS in the United States and globally. She is a Fulbright Scholar for the sub-Saharan HIV program and assigned to the School of Public Health at Makerere University, Uganda (2016-2018), to develop and implement an alcohol research center to serve Eastern Africa. She is also the Associate Director for Research for the Injury Prevention Research Center at Emory, a regional consortium of researchers and practitioners in injury prevention. Current research activities include examining the role of alcohol policies in homicide and suicide in the U.S., the structural drivers of sexual violence perpetration among freshmen in the state of Georgia, and the development of a social norms campaign to reduce and delay underage drinking and alcohol-related HIV transmissions among vulnerable youth in Uganda. She has presented her research on the integration of Alcohol Use, Gender-Based Violence and HIV to the Commission on the Status of Women at the United Nations (2014 & 2015). She is also a consultant to the United Nations Development Program/World Health Organization on the integration of Alcohol, Violence and Infectious Diseases in policy development in sub-Saharan Africa. Dr. Swahn is the former Associate Vice President for Research for Georgia State University (2011-2014) and was previously the Associate Dean for Research for the College of Health and Human Sciences, 2008-2011. Previous consultancies have been to the World Health Organization’s Africa Office on alcohol marketing in sub-Saharan Africa and on gender-based violence to the Pan American Health Organization in Guyana. Prior to joining the School, Dr. Swahn worked for the Centers for Disease Control and Prevention for 10 years. 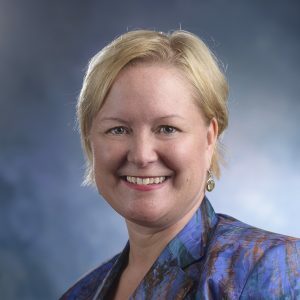 Initially, she served as a violence/injury epidemiologist in the Division of Violence Prevention, then as the Deputy Associate Director for Science in the Office on Smoking and Health and finally as Dixie Snider Fellow to the Office of the Chief Science Officer to contribute to agency strategic planning. Dr. Swahn teaches introduction to epidemiology, social determinants of health, epidemiology of adolescent risk behavior and global health. She is also the program director/instructor for the Study Abroad class on Alcohol and Harm in Uganda. Hadland S.E., Xuan, Z., Blanchette, J. G., Hereen, T., C., Swahn, M. H., Naimi, T.S. (2015). Alcohol Policies and Alcoholic Cirrhosis Mortality in the United States. (2015). Prevention of Chronic Diseases, 12:E177. doi: 10.5888/pcd12.150200. Wako, E., Elliott, L. De Jesus S, Zoti M.E., Swahn, M. H., Beltrami, J. (2015). Conflict, Displacement, and IPV: Findings from Two Congolese Refugee Camps in Rwanda. Violence Against Women 21(9):1087-101. doi: 10.1177/1077801215590669. Topalli, V, Giancola, P, Tarter, R, Swahn, M. H, Martel, M. M, Godlaski, A. J, & McCoun, K. T (2014). The persistence of neighborhood disadvantage: Alcohol and later aggression, a laboratory study, Criminal Justice & Behavior, 400-416. Swahn, M.H., Palmier, J.B*., Benegas-Segarra, A., Sinson, F.A. (2013). Alcohol Marketing and Drunkenness among Students in the Philippines: Findings from the Nationally Representative Global School-Based Student Health Survey. BMC Public Health, 10;13:1159. doi: 10.1186/1471-2458-13-1159.